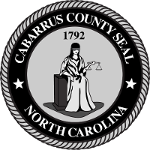 Cabarrus Land Records Information System (CLaRIS) is an electronic version of the County’s original tax map history cards, created in 1967. CLaRIS maintains parcel inventory and history for County. It by identifies all parcels of land within Cabarrus County, listing the taxable owner(s) of record, describing approximately where the property is located, and shows the size of the property as cited on the deed or plat. All parcel owners shown in CLaRIS are taxable owners as of the tax year and may not reflect all owners of multi-owner parcels. CLaRIS does not establish or verify ownership or size and location. It represents basic information from legal documents such as recorded deeds and plats as interpreted by county employees.